You won’t find any legal sports books located in the state of Alabama. What you can find is a rich history of support for college athletics and high school sports teams, particularly high school football. Alabama isn’t the home to any teams in the NFL, NBA, NHL, or MLB. The lack of professional sports teams may have something to do with the popularity of the top college teams in the state. Alabama is the home to two huge college programs with major football and basketball teams. The Alabama Crimson Tide and the Auburn Tigers are both nationally known football powerhouses. The NCAA basketball tournament is wagered on as much as any sporting event in the world except possibly the Super bowl. While the Auburn and Alabama football teams get the majority of press coverage their basketball teams have each participated in March Madness many times. The Alabama football team has a long and storied history of national titles and famous coaches like Paul “Bear” Bryant and more recently Nick Saban. When you look at the Auburn Tigers football team they don’t have as much recent success as the Alabama Crimson Tide, but they also have a long history of winning seasons, a couple national championships, and put a competitive team on the field year in year out. The majority of money bet on Alabama sports teams is associated with the Alabama Crimson tide football team. Frequently playing for national championships brings out the betting public like nothing else. Alabama football is often a heavy favorite. Because sports bettors like to bet favorites the sports books often move the line against big favorites because they know the majority of the public will bet them anyway. This can create good lines for betting underdogs. Local bookies are notorious for moving the lines against in state favorites because fans bet with their hearts instead of their heads. If you live in Alabama and bet on Crimson Tide football games with a local bookie you should almost always take the underdog. Most local bookies get their lines from ether Las Vegas or one of the large online sports books. These books set strong lines because they get a great deal of practice. A strong line usually does a good job predicting the outcome of games. If you track lines from the best sports books over time you’ll be amazed at how good they are on average of hitting point spreads. This is great news when you place bets with local bookies that move lines. Here’s a realistic example followed by why it’s almost always smart to bet the opponent of the big in state team. If Alabama is favored by 13 by the Las Vegas books you might have to give 15 or 16 to bet on them with the local book maker. Notice that not only is this an extra 2 or 3 points but it also crosses the 14 point line. If I see this opportunity I will bet the underdog unless all of my other handicapping indicators are pointing a different direction. You can profit in the long run just from betting the other side of falsely moved lines like these. Even though the Crimson Tide is the most likely team to find blatant point spread movement on, if you live close to the Auburn football team (located in Auburn, Alabama) you may be able to capitalize on the same type of movements. I rarely see this type of manipulation on college basketball unless you’re close to a traditional top 5 team like Kentucky, Duke, or North Carolina when they were stronger. You can also occasionally see it on pro sports games, but college football is by far the most likely place it comes into play. In every state that doesn’t have legal sports books you can find local bookies, especially around any average sized city or larger. Most bookies either operate out of a bar or can be found by talking to people in bars. If you don’t know a bookie just start asking people you know. I’ll bet you find one within a day or two at most. 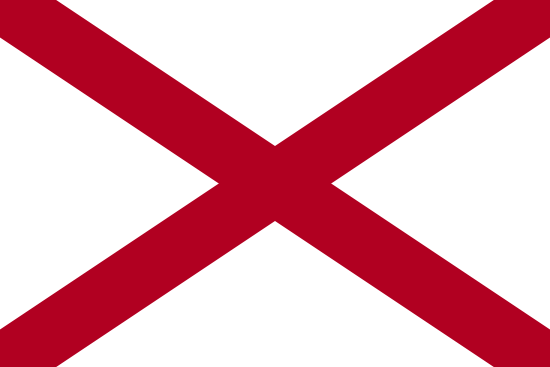 You need to understand clearly that local bookies operate illegally in the state of Alabama. Bookies do occasionally get arrested and charged, but the people placing the bets usually aren’t bothered. This doesn’t make placing bets with local bookies legal. Only you can decide if you feel safe placing bets with a bookie. What About Online Sports Books? You can find plenty of online sports books that’ll take your wagers as an Alabama resident. This isn’t a site offering legal advice and I’m not a lawyer. You’re going to have to make your own decision about the legality of placing bets online in Alabama. I’m not aware of anyone being arrested or convicted for placing online wagers in the state, but just because no one has been arrested doesn’t make something legal. If you do decide to place bets online take the time to do a little research to make sure you’re using a reputable sports book with a solid track record of safety and quick pay outs. Sports betting is one of the most popular pastimes for the American public. Estimates run into the billions of dollars every year being wagered. You can only find estimates because most states have outlawed sports betting so people place bets between themselves and with illegal bookies. Now they can also place sports bets online. Alabama residents have their share of ways to place bets; just don’t assume any of them are legal.